Off-site and modular construction projects have different security needs than other types of projects — they require a more portable, temporary security solution. They also involve different lighting issues. These sites’ temporary nature often raises questions about renting equipment rather than buying. Here’s a guide to selecting the right construction security cameras, lighting strategy, and equipment payment policy for off-site construction security projects. Off-site construction security camera requirements are dictated by the nature of off-site projects. Some may involve only a small amount of off-site work, while others may be done almost entirely off-site. Some modular projects may be completed as much as 95 percent in-factory. The shifting location of off-site projects makes mobile surveillance camera systems an ideal solution for job site security. Mobile surveillance cameras are designed to be small and easily transportable. They are typically wireless, making them easy to set up at any location. They can be installed on a short-term or long-term basis and include all the security features of other construction security camera solutions, like the ability to record video surveillance locally or stream it to a remote monitoring location or device. 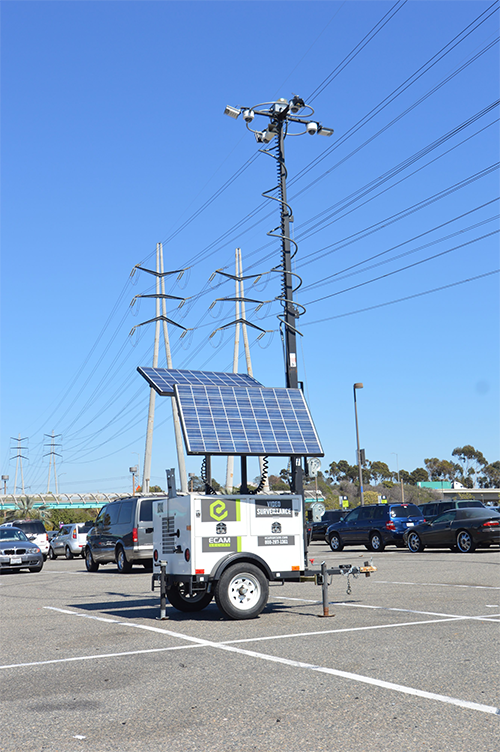 Mobile surveillance camera systems — some of which are solar powered — are also a cost-efficient option for job site security. For these reasons, construction companies frequently use mobile surveillance cameras as security solutions for off-site projects. Good security surveillance footage depends on adequate lighting. The site could be in a remote location where access to lighting solutions is minimal or non-existent. 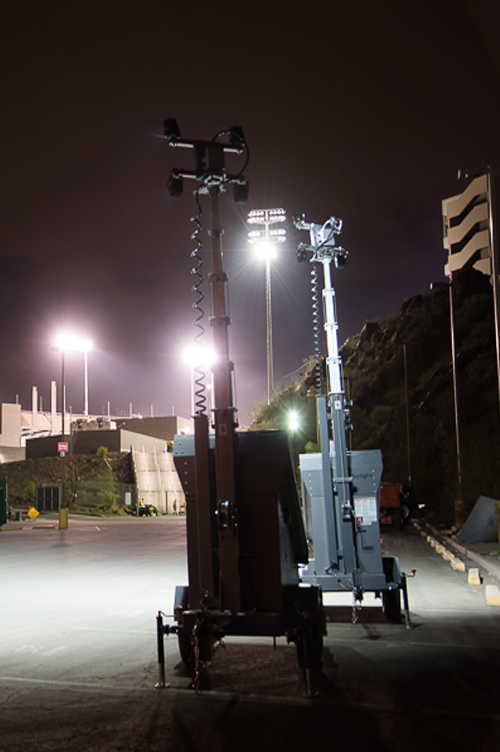 This makes it crucial for construction teams to consider lighting when selecting and setting up surveillance systems. For best picture quality, set up temporary lighting. Temporary lighting solutions come in wide-area lighting, string lights, high bay lighting, hand lamps and lights designed for hazardous locations. Both electrical and solar-powered lighting solutions are available. Electrical power generation solutions include custom generators, uninterruptible power supplies, motor control centers, automatic transfer switches, battery backup systems, and other options. Temporary electrical power setups are subject to applicable safety regulations, including federal, state and local requirements. Another solution is using cameras that work in low-light conditions. Today’s best construction security cameras can capture color details even in very low light. The dilemma of renting or buying camera equipment poses the same issues for construction security that it does for other applications of photography. Both options have their pros and cons. For short-term projects or for construction companies with needs that vary from one project to another, renting equipment has some attractive benefits. You can rent higher quality equipment than you might otherwise be able to afford while avoiding the cost of having to replace lower-quality equipment that wears out quickly. You don’t have to worry about maintenance or depreciation. Your equipment provider can supply replacements if your equipment doesn’t work. You can claim a tax deduction on leased equipment under the 179 IRS Tax Code. On the other hand, ownership can make sense if you plan to use the same equipment frequently. Generally, over the long term, ownership costs less than renting. You get larger tax incentives and also gain equity from owning equipment. You also have the option of selling it to recuperate costs. On the other hand, you can get stuck with outdated equipment, and you’re responsible for maintenance and replacement. For most off-site projects, mobile surveillance camera systems lend portability and flexibility. When setting up construction security cameras, be sure to factor lighting into your plan. Consider the option of renting to save money and avoid dealing with maintenance and other issues. 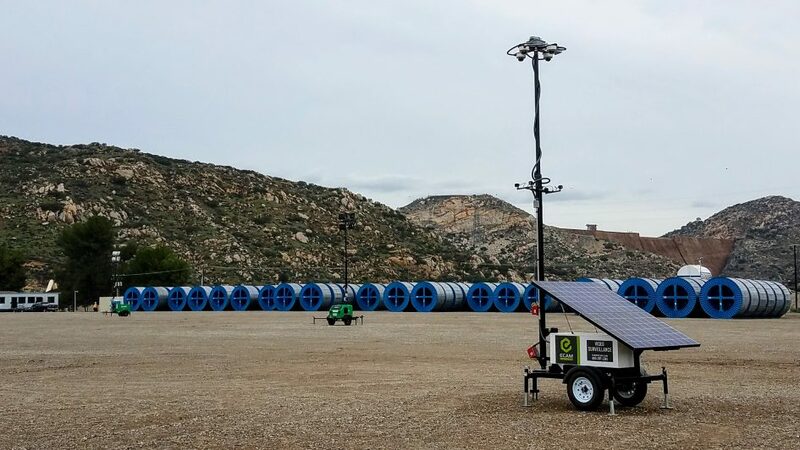 For a look at some of today’s best off-site and modular construction security camera options, check out eCamSecure’s selection of HD jobsite cameras.